Most of us like a drink (or two) every now and then. And, let’s face it, everywhere we go, alcohol and alcohol consumption are part and parcel of our culture. The risks of alcohol consumption and, more specifically, over-consumption have been documented in many medical studies. And the tragic statistics involved with driving while intoxicated are not open to debate. However, one topic that continues to come to the forefront is, what amount of alcohol is healthy for consumption? Hops in beer helps protect brain cells from damage. Red wine, as you may know, has had plenty of attention because of its antioxidant properties found in the skin of red grapes. It’s known to protect the lining of blood vessels in your heart. Of course, you could eat the red grapes themselves. When it comes to safe consumption, however, there are misconceptions circulating about alcohol and the elderly. New research, too, shows that drinking and heart disease are closely linked, especially when it comes to seniors. A study of seniors 65 and older, published in the Journal of the American Heart Association, indicates that the severity of heart damage can increase alongside a rise in alcohol intake. The research team noted that their findings back up guidelines recommending exercising moderation when drinking. Moderate alcohol consumption means no more than one alcoholic drink for women, that is one beer, glass of wine or smaller amount of liquor, on a given day. Likewise, men should only consume two of these drinks a day. The recent American research tested the effect of weekly alcohol consumption among 4,466 older people – with an average age of 76 – on the size, structure, and motion of various parts of the heart, using cardiac imaging techniques. 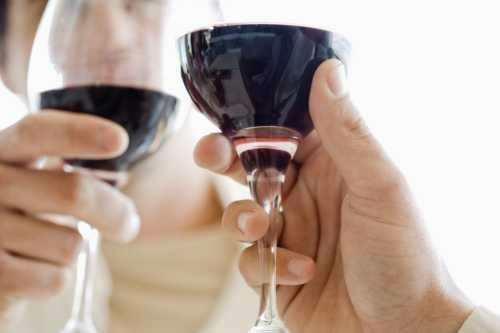 The scientists found that the more people drank, the greater the subtle changes to the heart’s structure and function. Men who were heavy drinkers – classified as those who consumed more than 14 alcoholic beverages a week – were more likely to have an enlarged wall of the main pumping chamber in the heart. But the women had small reductions in heart function, even if they were classed only as moderate drinkers, with one drink a day. This may sound a little grim, considering that moderate consumption of alcohol has been claimed to carry health benefits of protection against heart failure and brain decline, as we’ve mentioned. The issue here is, even moderate drinking may have a negative impact on the heart, research shows. A lot of things can be different when we consume alcohol as we age. There are a number of things that happen to us as we age that may not be so apparent. With age, we tend to lose muscle, pick up more fat, and as result of changes in our body, we are less able to process alcohol and its effects as easily as we could when we were younger. Alcohol can also affect our sense of balance, putting us at risk of harm from a fall. Another important consideration with alcohol and elderly health is that many of us are taking a larger variety of medication than we did when we were younger. The risks of mixing alcohol with the effects of medication are often negative. As a rule, mixing alcohol and pills is something that should always be avoided, especially because the effects can include the thinning of blood, which can result in higher risk of bleeding and that clotting or blockages in the bloodstream can also occur. In addition to the physical impact of drinking when we are older, there is also the age-old danger of alcohol – addiction. About a third of older people with drinking problems (and in many cases, this is more true for women) develop them for the first time in later life. A number of factors have an impact on seniors more than younger people – factors such as bereavement, physical illness, difficulty getting around, and social isolation can lead to boredom and depression. They don’t have time to ask elderly people about their drinking. If you think that you have an alcohol problem, talk to your doctor. If necessary, they can refer you for the necessary testing. You can also see a counsellor to discuss some of the underlying issues of drinking. The good news is, it is often easier to treat drinking problems in elderly people than in younger adults. Detox. This involves giving medication to reduce withdrawal symptoms and then tailing off and stopping it after a few days or weeks. In older people, this is usually best done in hospital. Support groups. Many people find that self-help groups like AA (Alcoholics Anonymous) are the most helpful way to overcome a serious drinking problem. But they don’t suit everyone. They tend to work on stopping drinking completely, and many older people may just want to cut down. If you have mobility problems, it can be hard to get to meetings. Counselling. This treatment can be done one on one or with a group of other people, where you can share your experiences. Therapists are trained to talk about your problems without judging you. They can help you to stop drinking completely, or to control your drinking better. This can take some time and there may be setbacks. This is normal and one setback should not be seen as a failure. Find ways to occupy yourself with activities, so you can get out of the daily routine that revolves around alcohol. Friends and family may be able to help with this. Work on the problem that made you start drinking in the first place. This could be anxiety, depression, physical problems, or just not seeing other people very much. Drinking and heart disease is a cautionary tale. Given the research on the effects of alcohol on the elderly in particular, we know we need to be monitoring our consumption and taking steps to cut back, if necessary. With seniors at increased risk for heart disease when alcohol comes into play, you want to be as proactive about protecting your heart as you can.